Cyclamen are common flowering gift plants but there are also North American native species found in the wild. The plants make excellent container or garden bed specimens and can even thrive and bloom for months indoors. However, cyclamen plants have an interesting life cycle and certain needs to perform best. 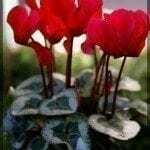 Without good care, drooping cyclamen plants are common. Learn the causes and how to revive a drooping cyclamen. Drooping leaves on cyclamen may be the result of a natural process. Plants begin re-growth in fall and are actively growing in winter. By the time the heat of summer appears, the plants are slowly dying back and eventually there will be no sign that they were there. This process is natural and may result in drooping leaves on cyclamen. Wait until fall and see if you don’t find it coming back for its spring performance. Droopy cyclamen flowers may also be due to cultural conditions and can be easily corrected. 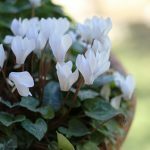 Cyclamen prefers Mediterranean climates and does not tolerate excessive heat or cold. The best temperatures are temperate and moderate. Drooping leaves on cyclamen are a common symptom of heat or cold stress. The plant also prefers bright but indirect light. 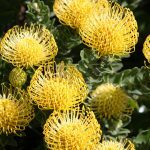 Plants situated in a southern window or in a hot area of the garden may suffer and indicate their distress by drooping. Droopy cyclamen flowers occur when a plant has too much water. Cyclamens prefer moist soil but not boggy conditions. If planted in ground, make sure the soil percolates well; and if it doesn’t, add some gritty material to improve drainage. Plants in containers should also have well-draining soil and several holes in the bottom of the pot. Plants that are kept too wet will develop drooping leaves as well as crown rot. 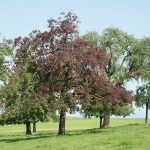 This results in the core of the plant being overrun by fungal disease and causes eventual plant death. Cyclamen respond well to extra humidity and like to have their leaves sprayed but provide good ventilation so the leaves can dry off quickly. Most insects aren’t an issue but if you spot any sucking pests, like aphids, combat quickly with horticultural soap. Cyclamens are quite forgiving of incorrect culture provided you don’t drown the poor things. A sickly cyclamen in a container may simply need new potting soil. The plant rises from tubers and tubers in boggy soil become water logged and develop soft spots. Remove the plant from the soil and rinse off the tubers. Check each for any damage and separate any with soft spots or discoloration. Use fresh, sterile soil and replant the tubers, burying them half their length in depth. Keep the soil moist and in a cool, indirectly lit area. Cyclamen in their dormant phase need a bit less water than when they are actively growing. Increase water in late winter to early spring. Use ¼ teaspoon per gallon of houseplant food every time you water from late winter until the plant begins to stop blooming. Suspend fertilizer during the dormant phase.